Essentially, military logistics is a system that supports various military activities [NATO]. Logistics operators must have the capability to quickly provide the materials to guarantee operational success. That is why utilising advanced computing devices are essential to monitor military activities and equipment. However, given the fact that military activities operate under extreme work environments, it would be ideal to integrate its computing system toindustrial workstations. That way, these are protected from elements which can damage the device and cause system failures. But, how can these panel PCs with workstations be utilised to ensure efficient military ops? Find out more on this blog and know its importance in military logistics. Effective logistics operations can supply troops with the right equipment for military operations. So, it is essential for the military logistics personnel to utilise panel PCs enclosed in industrial workstations. These types of PC workstations bear a corrosion-resistant casing. This prevents rust from damaging the PC’s circuitry despite exposure to wet weather conditions. For operations in arid areas, the casing also features a dust-resistant sealing. Therefore, expect that this device can function efficiently in any military work environment. Here are the top 3 benefitsofutilisingindustrial PC workstations. Military-grade workstationsaredesigned for wash-down procedures. This means thatthis device can withstand caustic cleaners used in equipment maintenance.But, restassuredthat itcan still providefunctionalityeven when exposed toharshchemicalsand substances. Apart from operating in extreme working conditions, military logistics systems also bear a fast-paced environment. This means that all equipment utilised must adhere to these kinds of conditions. And, this is the main reason why these workstations are made suitable for industrial-grade peripherals. So, expect that operators can optimise these devices effectively. Having said the military operations bear a fast-paced environment, industrial PCworkstationsalso offer customisable mounting options. This feature enables the military to install a workstation in alimited space. Regardless, it is animportantfactorto make use ofreliable and effective computing devices in logistic operations for the military. 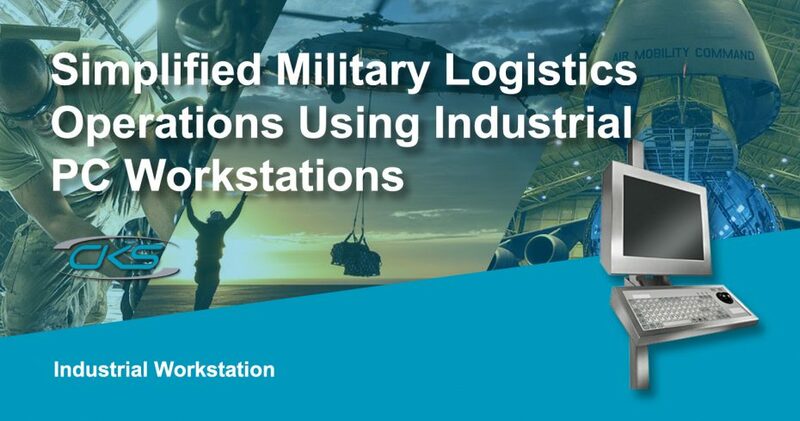 Moreover, installing these devices onindustrial workstations is also compatible for complex military applications. Contact anestablished IC manufacturerformoreinquiriesaboutmilitary-grade computer workstations.